Our CSA is now taking new members! If you remember sun-kissed, tree-ripened peaches bursting with flavorful juices that run down your chin when you bite in--or if you’ve been disappointed after buying a quart of large, tasteless grocery store strawberries—then my Fruit CSA is what you‘ve been waiting for! When you join, you get the freshest, tastiest, most nutritious and pesticide-free fruit possible each week through the growing season, with convenient pick-up locations in Bloomington, Peoria, Morton, and Eureka. CSA stands for Community Supported Agriculture which is a mutually beneficial partnership between you and a local farmer. Farmers receive payment early in the season, which helps with seed, planting, mulching, tilling, and many other start-up expenses, while consumers save money and gain access to local, seasonal, delicious, nutritious, just-picked fruit direct from the farm. If you‘re going to eat fruit, it‘s important to know who grew it and how, since most fruit is sprayed with dozens of toxic agri-chemicals. In 2018, seven of the top eight items on the “Dirty Dozen” list of most toxic fruits and vegetables, updated each year by the Environmental Working Group, were fruits: strawberries, nectarines, apples, grapes, peaches, cherries, and pears. Almost all samples (98 percent) had detectable residues of at least one pesticide. The “dirtiest” strawberry sample had residues from 17 different pesticides. 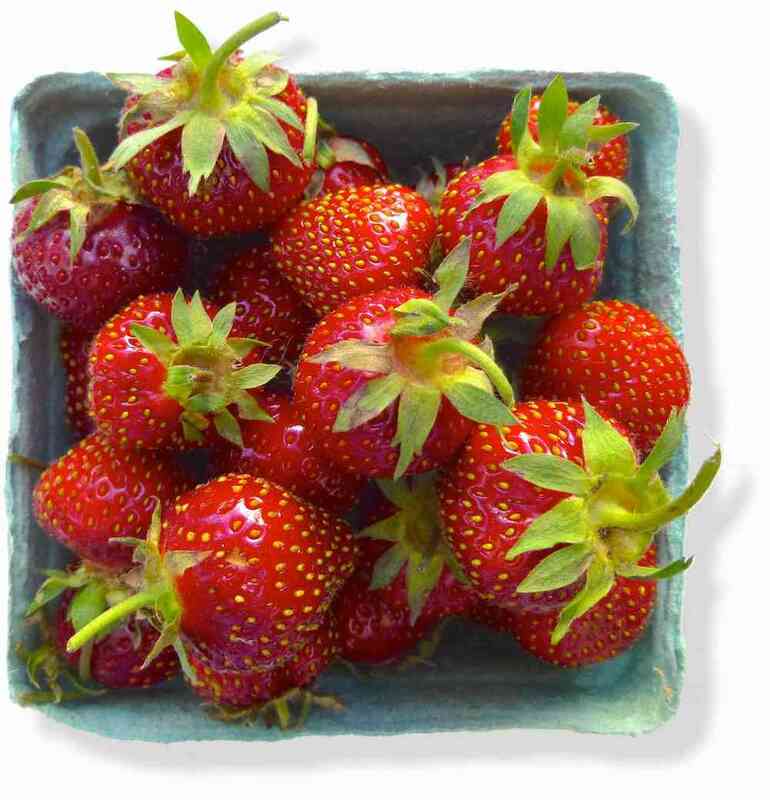 But as a member of my fruit CSA, instead of getting a tasteless, poison-laden strawberry, you’ll get sweet-smelling strawberries with explosive flavors and absolutely no pesticides. And much, much more! See details below or sign up now. We are now taking new members at all locations. But it’s first-come, first-serve—so the sooner you respond, the better chance you have of getting delicious fruit throughout the season! For more information, including details about the cost and how much fruit you’ll receive, please read the FAQs below. To join, click on the Sign Up button, and you’ll be taken to a page with payment options. Thank you! We have pick-up locations in: Bloomington/Normal, Morton, Central Peoria, near Peoria Heights, Eureka and at Henry's Farm near Congerville. Pick ups will be on Tuesday evening for all locations. When you join, you will also choose your location and its time slot. In addition, you may receive jam I make from my fruit, applesauce, aronia berry juice, and/or herb teas made with our herbs and fruits. 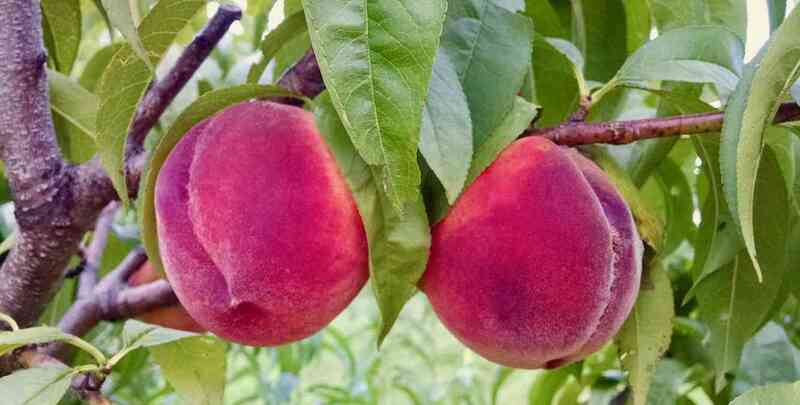 For the complete list of all the specific fruits and varieties we grow, see the Fruit We Grow section below. Can I suspend my membership when I go on summer vacation? No, the CSA is a full-season subscription. But if you are going to be out of town for one or more of the pick-up dates, the best thing is to arrange for someone — a friend or family member — to pick up your fruit while you are away. Just tell them to provide your name when they come to the pick up location. How can I receive information about ordering plant starts, fruit jams, herb teas, goat milk soaps, or extra fruit? I use my brother Henry's vegetable CSA email list to send out emails about special ordering opportunities. If you'd like to receive these emails, and are not already in Henry's vegetable CSA, please sign up here. Most weeks you will receive 1 or 2 shares, but some weeks, you will receive 3, 4 or even 5 shares -- because when a particular fruit is at the peak of its season, you get to share in the abundance! How much does it COST to be a member of the fruit CSA? When does the CSA begin and end? Because fruits are more unpredictable than vegetables, and much depends upon weather, there is not a hard and fast beginning or ending date. So look for an email in late May giving you the starting date (usually late May or early June), and another email in late September or October letting you know what the ending date will be. What if I forget to pick up my fruit? Once the CSA begins, it is your responsibility to pick up your share each week. If something comes up and you miss a pick-up, you must call me before 12 noon the following day, and arrange to come to the farm and pick up your share. If you pick up in Bloomington, the week following the week that you forgot to come, you may stay until the end of the pick up period and see if I have any extra fruit left over. If I do, you can make up your share(s) at that time. There’s absolutely nothing like having your own mouth-watering homegrown tomato or just-plucked basil. Even if you only have a patio or windowsill, you can grow a potted herb plant, or a dwarf tomato or pepper suitable for container-growing. And if you have a large, sunny yard, you can grow vegetables to your heart’s content--enough to eat all summer, and freeze for winter, too. Many people are unaware that most plant starts at Home Depot, Walmart, and other large home and garden stores are doused with chemical fertilizers, fungicides, and herbicides. Often the seeds themselves are treated with deadly neonicotinoids, which are then taken up by the growing plant so that every cell is toxic to insects, including bees. The Atlantic magazine reported that even plants sold as “bee-friendly” kill bees when treated with neonicotinoids. But when you buy plant starts from me, you won’t have to worry about any of that, and you’ll be getting varieties I choose for their extraordinary taste, beauty, disease-resistance, and productivity. You can get basic ordering information and FAQs here, then scroll down to browse and order your plants online. Pick-up will be in Central Illinois in late April or early May. Happy browsing, growing, and eating! If you live in Evanston or Chicago-land, read through BUT DO NOT ORDER FROM our online ordering page. Then come to the Evanston Market Saturday mornings in May (my stand is near the NW corner of the market), and I'll help you find the plants you want. We accept cash, check, or credit card payment. In the Bloomington-Peoria area, order online and pick-up at Bloomington, Peoria, Morton or Eureka locations. Click here for more specifics about pick-ups, and for ordering information. Then you can browse through all the varieties, and select vegetable and herb types to purchase. All plant starts are $4.50 with volume discounts available. Note that late April and early May pick-up dates listed on the ordering information page are tentative, depending on Mom Nature. I will send you an email in late April to confirm pick-up dates. Although many people say it’s impossible to grow fruit organically—because many of them are soft and prone to mold, and all are very attractive to bugs and worms of all descriptions-- that’s precisely how fruit was grown for the first 9,940 years of agriculture. It’s only the aberration of the past 60 years of chemical-industrial agriculture that has people thinking it’s ok, even necessary, to spray poisons on our food. We grow more than 80 varieties of over 30 kinds of fruit, including many kinds of strawberries, raspberries, blueberries, currants, apples, pears, cherries, peaches, pawpaws, persimmons, gooseberries and lots and lots of aronia (more on that below), ground cherries, and even hardy kiwi. It's a long list! Click on each of the fruit types to see all 95 cultivars we planted and grew in 2017. Aronia — The Wonder Berry! 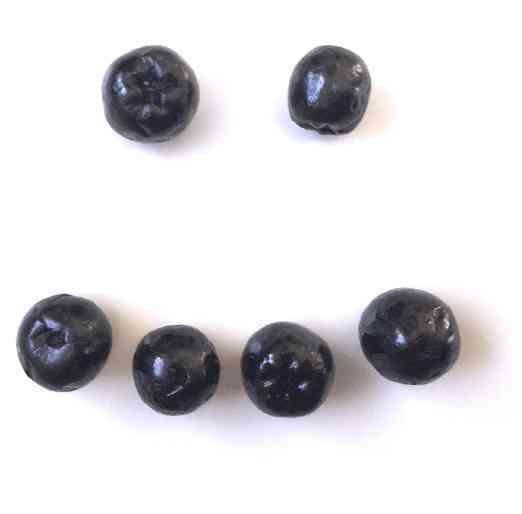 The dark purple-black aronia berry has 3.5 times the antioxidants of blueberries. And antioxidants are just the tip of aronia's nutritional and medicinal iceberg. A native North American plant, it's resistant to pests and perfectly suited for organic cultural practices. It's such a fantastic plant with such great potential that in 2006 we expanded our production from 5 to 1,205 bushes! 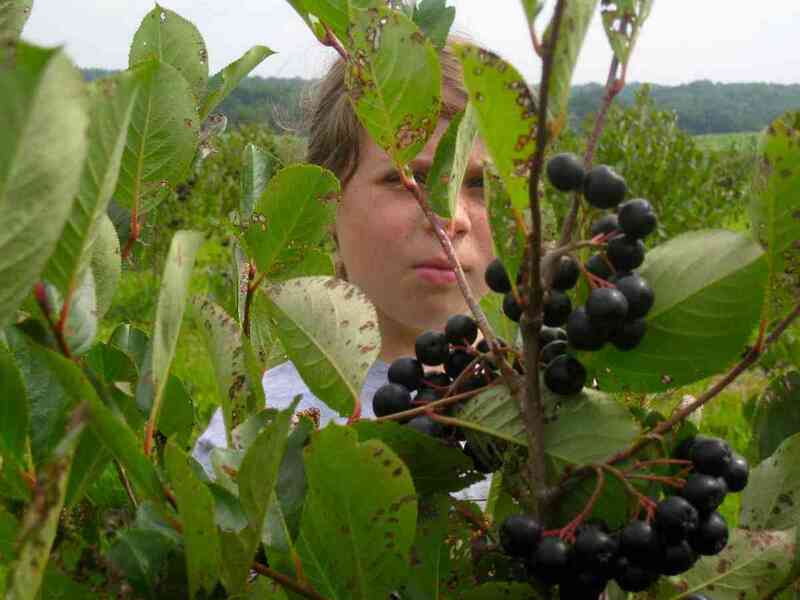 Well known and well used by Indian tribes way back when, aronia is largely unknown and unused in America today, but well-loved in Eastern Europe. On Terra's and my research trip to Poland, we found aronia in every grocery store, large and small, in a variety of products from juices to jams and jellies to vodka. It takes three years for aronia to begin bearing, and when mature it is fantastically productive, yielding 20 to 30 pounds of berries per bush. Scientific studies show that aronia berries have some of the highest levels of anthocyanins and polyphenols in the plant world. These substances are powerful antioxidants. The latest research indicates that aronia has one of the highest ORAC (antioxidant capacity) value of any fresh fruit. Recent research has identified a host of other compounds that give aronia anti-bacterial, anti-viral, anti-inflammatory, anti-cancer, and anti-diabetic qualities. Aronia berries are thought to fight the formation of arterial plaque. lower serum cholesterol, lower blood sugar, and improve your body’s natural production of insulin. The two acres we planted in 2006 are part of a larger parcel that has been chemical-free for over 25 years. Although this block of aronia may seem something like a mono-crop, it is in fact a diverse ecosystem, supporting a multitude of native plants between the rows of bushes, allowing earthworms and soil bacteria and fungi to improve the soil, and hosting wildlife from insects, to mice, to deer, to sometimes ravenous migrating birds. And the perennial aronia bushes are a perfect fit for the rolling hills of Woodford County where plowing fields for row crops can lead to soil erosion. 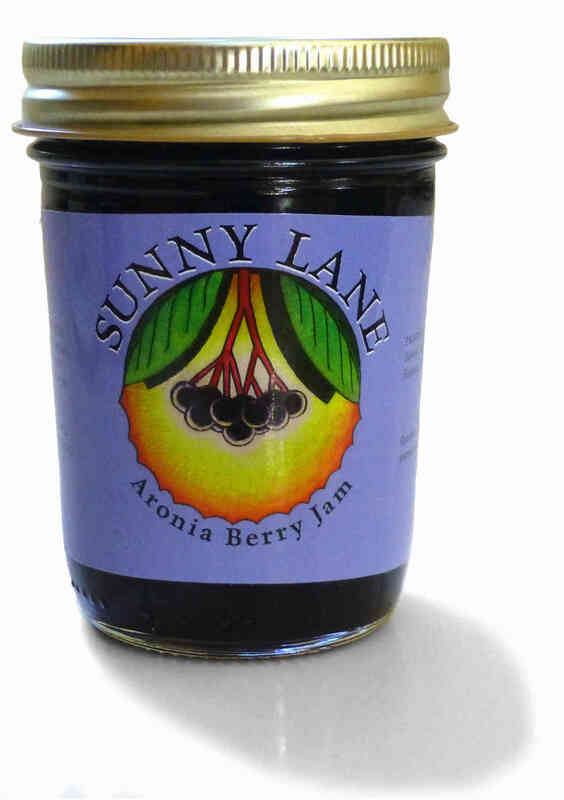 Currently we sell our Sunny Lane aronia jams, jellies, and tea online. Scroll down to purchase any of these items for shipment to you. We may also have fresh-pressed aronia juice and/or fresh aronia berries seasonally for pick-up — please check with us for availability. We grow over 30 kinds of aromatic and healthful herbs, from old favorites like basil, parsley, sage, rosemary and thyme, to new favorites like cutting celery, rose geranium, anise hyssop, and lovage. As with our fruits, we grow many varieties of each herb – with, for example, 6 kinds of basil, 4 kinds of thyme, and 11 kinds of mint. Although most people use herbs to spark up their salad dressings, vegetables, and meats, all herbs were originally valued for their medicinal properties, to soothe sore throats or frayed nerves. We dry many of my herbs and then hand-blend them into special Sunny Lane Herbal Teas that you won’t find anywhere else. Anise hyssop tea has been used for centuries for sore throats and coughs, and many people find Sunny Lane Peter Rabbit Tea (mint, chamomile, lemon balm, and lemon thyme) a soothing way to unwind before bedtime. All of the herb teas are listed below. In addition to providing fresh herbs from May through November, and dried herb teas year-around, we dry some culinary herbs so you can use them any time. You’ll find these herbs much more aromatic and flavorful than those from a store, because we dry them right after picking them, and the product hasn’t been sitting in a warehouse or on the shelf for months or years. As usual, the best things are those closest to home. Contains just anise hyssop leaves. We always keep this tea on hand for winter sore throats and coughs, but it’s delicious to drink everyday. It has a naturally sweet anise flavor. 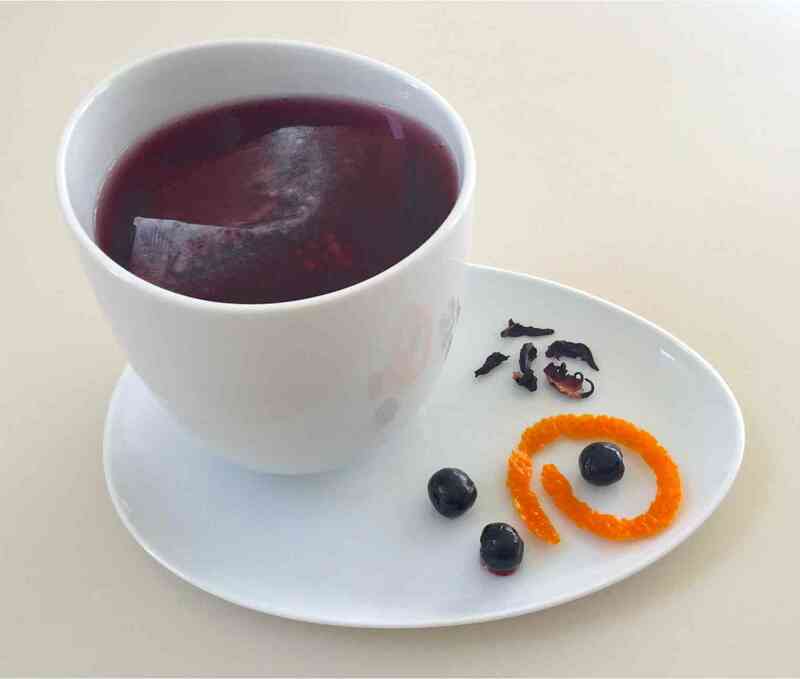 An anti-oxidant powerhouse, this tea contains dry aronia berries, orange peel, rosehips, and hibiscus. It has a fruity, sweet flavor and a gorgeous red color. This is a blend of Britton shiso, lemon verbena, lemon grass, and ginger. It has a sweet, fruity flavor with a hint of root beer! This one has become one of my best sellers. Very unique! This is spearmint blended with peppermint and chocolate mint. Good hot or iced. A perennial favorite. This tea will NOT make you roll around on the floor and chase imaginary mice! Instead it is very calming and it has a nice “green” flavor. Of course, you can put a teabag in a sock and let your cat enjoy it too! 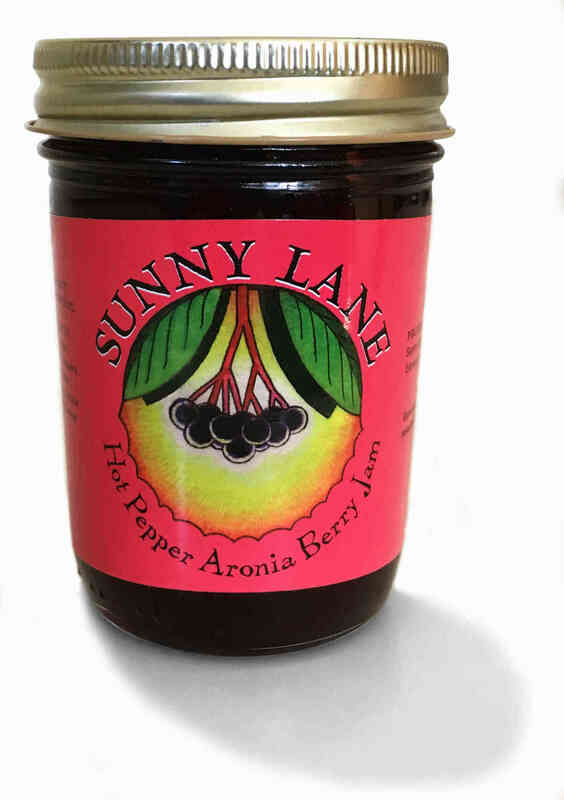 We make all of our Sunny Lane aronia preserves with our own organically grown (but not certified) aronia berries. Aronia Berry Jam contains the whole berry, providing you with maximum nutrition and fiber. The lively flavor is a blend of wild grape, apple, and cherry. Aronia Berry Jelly doesn't contain the skin or seeds, so you get a nice smooth texture and flavor, with deep, red wine notes alongside the bright wild berry and apple flavors. Teresa's favorite! In addition to the aronia, I grow all the peppers myself (no chemicals! ), and the sugar and lemon juice in all Sunny Lane preserves are Certified Organic. 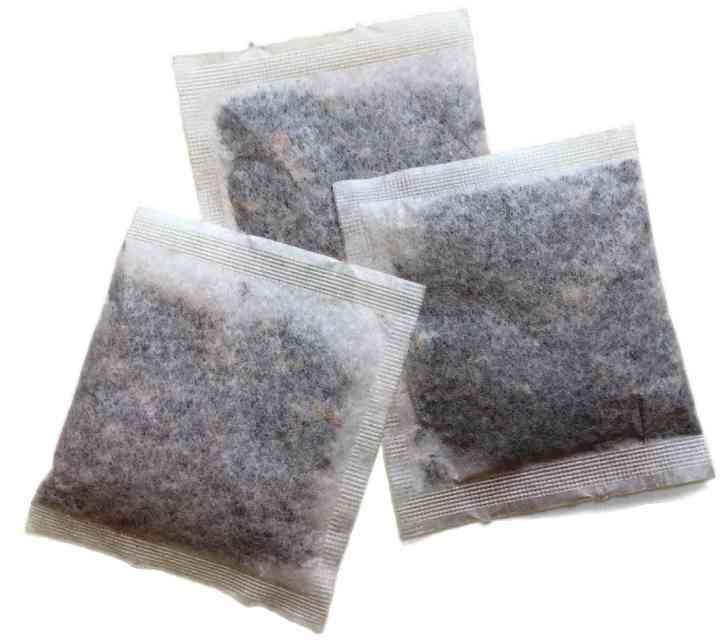 This tea is an antioxidant powerhouse! It contains three organic ingredients that are very high in antioxidants--aronia berries, hibiscus, and orange peel. The tea has a deep red color, natural sweetness, and a wonderful fruity aroma and flavor. This is the healthiest way to get aronia berries in your diet. 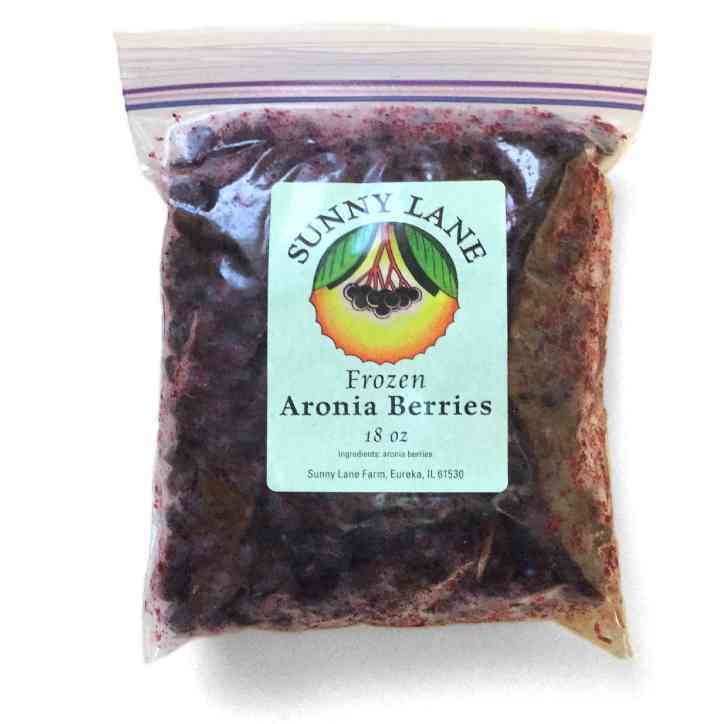 When you order frozen aronia berries, Teresa will include a packet of recipes including easy smoothies and oatmeal, as well as delicious muffins, cookies, salad dressing, salsa, and more! Even though aronia berries are not something most people like to eat plain, they taste great when combined with other ingredients. Give it a try! Pick-up only: Cannot be shipped. 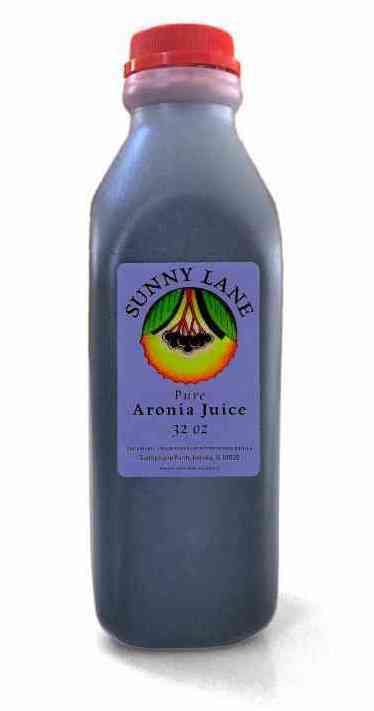 If you don’t have time to make aronia smoothies or oatmeal, you can drink your aronia! 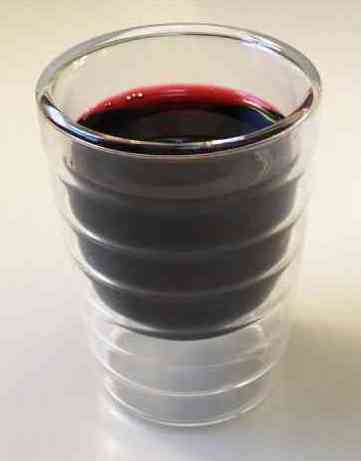 My aronia juice is pure, un-diluted, and un-pasturized. It has an intense flavor that’s a blend of apple, wild grape, and prune juice and it really makes you feel ALIVE! I like to drink it straight, but if you find it too strong, add some sparkling water, plain water, apple, orange, or other fruit juice. Some people like to add it to tea and drink it hot. It also combines well with hard cider, vodka, or a nice white wine, especially prosecco. You can also add aronia juice to smoothies, make ice cream or sorbet with it, or add to a vinegar and oil salad dressing. Because this is a fresh-pressed, unpasteurized juice with absolutely nothing added, it must be kept refrigerated and keeps about 2 to 3 weeks. If you want to stock up on it to drink during the winter (some people swear that it can stave off a cold! ), then transfer it to smaller bottles as soon as we deliver it to you and freeze the bottles. Then you can thaw a small amount at a time and it won’t spoil before you can finish a whole bottle. Like Henry, Teresa lived abroad for many years, starting with a year in the Philippines when she was in high school, and ending up in Yokohama, Japan a decade later. When she was in the Philippines, she learned Ilongo, including the word for the dark crud that you scrape off of your sweaty skin after you’ve been working in the dirt. At that point, no one knew just how intimate Teresa would become with sweat and dirt! 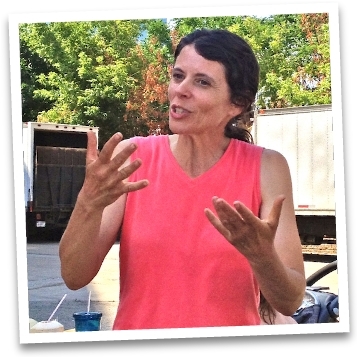 When Teresa started her farm in the spring of 2001, her goal was to sustainably grow a little bit of every type of fruit that our Zone 5 climate could support. That led to her very diverse farm with many varieties of fruit, then to herbs, and eventually spring plant starts. It also led her to the native American plant, Aronia melanocarpa, which produces berries with extremely high levels of antioxidants, and can be used in juices, jams, muffins, oatmeal, and smoothies. Even through the plant (known commonly as black chokeberry) is native to North America, almost no one was growing it in the U.S. But her Polish and Russian customers knew a lot about aronia and loved it. When one of them visited Poland, she brought back a bottle of aronia juice for Teresa. One swig, and she was hooked, and in 2006 decided to devote two acres to it. In 2007,Teresa went on a research trip to Poland, where there are large aronia farms, and where many different aronia products are found in every grocery store. She returned to Illinois, expanded her aronia production, and started her own aronia product lines. Because this is a small and very diverse fruit and herb farm, our apprentices do many different tasks, often all in one day. On larger fruit farms, you might spend an entire day or week just spraying fruit trees or picking blueberries. But here, you might spend part of a day weeding herbs, mulching berries, and helping to dry herbs and make herb teas. Because we don't use insecticides, you'll also learn how to go on Japanese beetle patrol, and how to use the non-toxic kaolin clay product, Surround, on tree fruit. 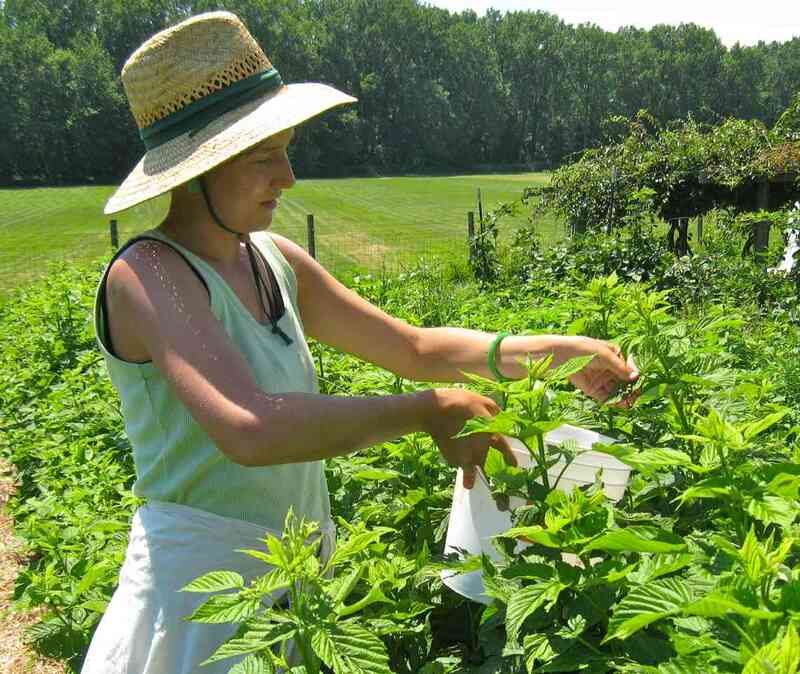 You will take part in just about every aspect of the farm operation (see details below), and by the time you finish your internship, you will have gained much of the knowledge and skills you need to start your own fruit or herb farm. The season starts in April/May and goes until late September. A full season stay is not necessary, but I give preference to people who can stay the whole season. Partial season stays must be in June, July, and/or August, since that's our busiest time. Interns participate in all aspects of running the farm including planting, weeding, mulching, pruning, harvesting, animal chores, preparing for market, making herb teas, and putting up vegetables and fruits for winter. You must be willing to work hard and quickly in all types of weather. The work week is 5 days. Work days are generally 8 hours long, except for harvest days (Tuesdays and Fridays) which end whenever we are finished. Interns take turns coming to the market with me on Saturdays. When it’s your turn, you generally get a day off during the week. You must observe carefully, take direction well, and strive to improve in speed and skill. As we work together, I explain the what, why, and how of everything we do. I am keenly interested in ecology evolutionary biology, and social issues, and link what we do here with them. Interns are encouraged to ask questions and contribute thoughts. No prior experience is necessary. You should be in relatively good physical shape and have no knee or back problems as we often squat for several hours at a time. I give preference to prospective interns that come to the farm for a “working interview” – meaning you come visit and work with me for at least 2 days and preferably longer, so that I can see how you work and get to know you a bit. The end of March is a good time to come. Some people come the season before the season that they actually want to intern. Students often come on their spring break. I have taken on interns without a visit, so even if you can’t come for a visit, please submit your application. Interns live in the lower level of my home, which has its own entrance, kitchen, bedrooms, and bathroom. Depending on how many interns I have, you may have to share a bedroom with one other intern for at least part of the season. Interns also share the bathroom and kitchen/living area. Interns receive a stipend of $200/week and also receive free fruit, vegetables, eggs, and milk from the farm. You are responsible for preparing your own meals and for keeping the living areas neat and clean. Get inside information about what's happening on Teresa's Farms, Henry's Farm and Jill's Red Barn Farm. 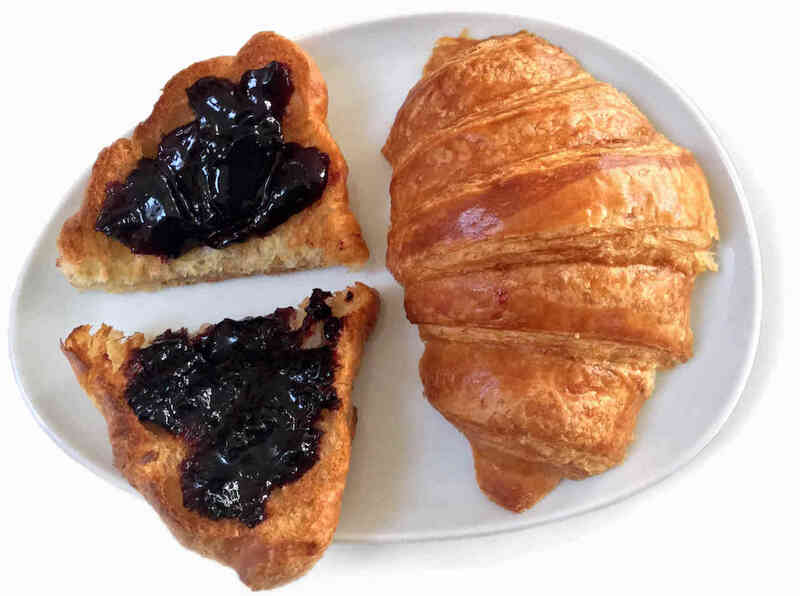 Plus get a sneak preview of what's coming to the Evanston Market (including specials! ), and suggestions for what to do with all the bounty! To get fresh fruit throughout the growing season, join our Fruit CSA. 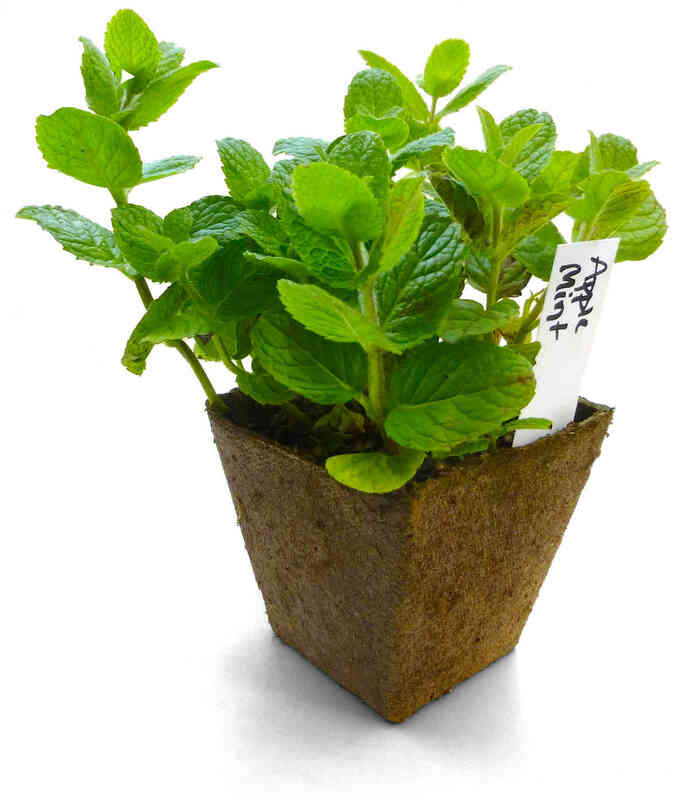 To get the best varieties of herbs, vegetable, and other plant starts for your garden or patio, check out our online ordering page. You'll find specific information there about each plant, and about the pick-up time-frames at convenient pick-up locations in Bloomington, Peoria, Morton, and Eureka. I no longer sell my fruit and herbs at the Evanston Farmers Market on a regular basis, but I DO bring all of my plant starts to the markets throughout May. Please read through BUT DO NOT ORDER FROM our online ordering page. Then come to the Evanston Market Saturday mornings in May (my stand is near the NW corner of the market, next to Henry's farmstand), and I'll help you find the plants you want. We accept cash, check, or credit card payment.